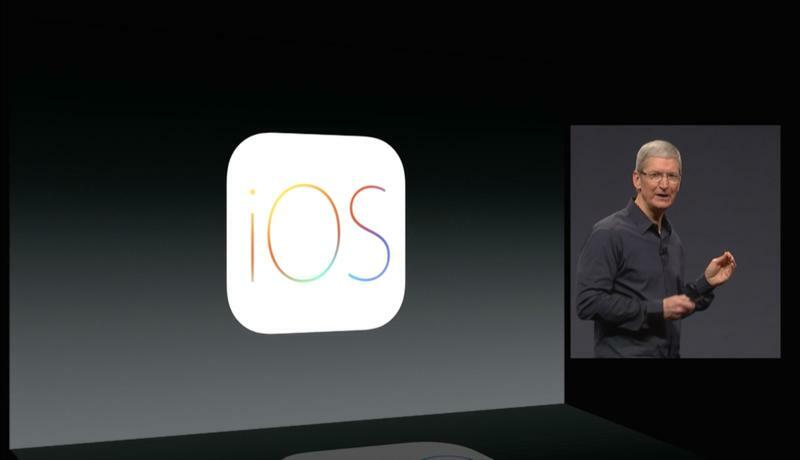 Apple CEO Tim Cook officially declared iOS 8 the most powerful version of iOS ever on Monday. The new OS, which was unveiled during Apple’s WWDC 2014 show alongside OS X Yosemite, certainly does have a lengthy list of features. There are changes from everything to the user interface to the core apps, and Apple must have been listening to its fan base. Because finally, there are parts of the operating system that are open to third-party application developers that have never been opened before. That will mean even more use-case scenarios for widgets, which had seemed all but left for dead until today, and Touch ID. Also, Apple is continuing to tie iOS and OS X together, and iOS 8 has some amazing new features we can’t wait to try. The developer preview for iOS 8 is launching today, and a full version will launch to the public sometime this fall, likely around the time the iPhone 6 hits. In the meantime, we picked just 5 of our favorite features of iOS 8 – and there are plenty more – to go over with you. There have been several Android phones, and even some third party applications, that allow you to see when people are calling your Android device so that you’re always alerted on your computer. Apple took this one step further today by adding complete integration between your iOS 8-powered iPhone and an OS X Yosemite-powered computer. You’ll be able to place and receive phone calls right from your PC, send and receive messages (though this is already possible with iMessage) and more. That means you can leave your iPhone in another room and, while you’re at your desk in your home office, for example, see who is calling and answer or deny the call right from your computer. I love this feature. I’m on several group message chains, and it often drives me nuts when one chain is going nuts with messages from several people, particularly when I’m at work and only want to see urgent text messages. Now, in iOS 8, you’ll be able to put a certain chain on do not disturb mode, so you won’t be alerted when new texts come in. Additionally, users will be able to share their location for a set amount of time with other members of the group. Also, like competing third-party text messaging apps, you’ll be able to name specific groups. If you decide to leave, you can do so with the tap of a button. Right now, you’re basically stuck in the group as long as other members keep texting you. 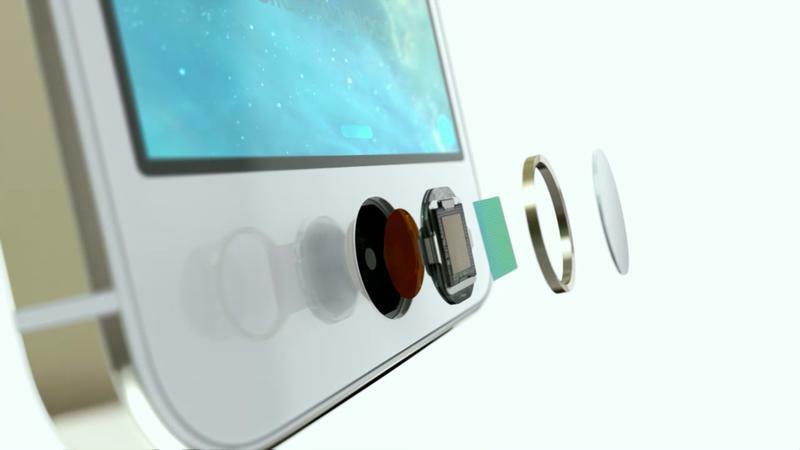 When Apple launched the iPhone 5s it also introduced Touch ID, the fingerprint reader that lets you log-in to your phone and make iTunes app purchases with the tap of a finger. It has been locked down since the iPhone 5s launched, but Apple said it’s now opening support for third-party developers to create apps that use Touch ID. You can imagine other apps allow you to make payments, like PayPal does on the Galaxy S5 for example, or even just easier log-ins for social networks like Facebook. Touch ID has felt super limited to us so far, and we’re glad to see that the use cases are about to become basically limitless. Oh, and if you’re worried about security, Apple said all of the fingerprint reader data will remain locked down to the device and unavailable to third party app developers. This is another key area where Apple is opening up a typically locked-down feature: widets. In iOS 7 the Notification Shade already shows you information from your calendar, stocks you follow and a weather briefing. Soon, though, developers will be able to create their own widgets that can appear right there. Maybe you’ll download an ESPN widget, for example, that shows you the score of the Lakers game in real-time. Or perhaps you’ll have a widget that shows you when the next train is coming. As we’ve already seen on Android, which has had widget support for years, there are plenty of new features that will come to Apple’s notification shade – the ideas are only limited by what developers can come up with. Also on that front: the notifications in Notification Shade will soon be active, so you can respond to a text message that pops down right away, without even opening Messages, or accept a calendar invite without opening the calendar app. Yep, another third party feature here. Apple has typically prevented anyone from using anything but its own keyboard throughout the system, (that’s actually improving too, by the way). Now, it’s opening iOS up so that users can opt to take advantage of third-party options, like the ones that let you swipe from letter to letter. Swipe typing is already available on Android and Windows Phone natively, and third party options are already out there for Android, but this is the first time you’ll be able to use them on iOS. Presumably you’ll have all kinds of controls, too, allowing you to tweak the color of your keyboard, add different language packs, use third-party apps with different auto-complete options and new layouts, and so much more. iOS 8 is chock full of new features, and we’re sure we’ll learn about even more features as it moves through the beta process to Gold Master and ultimately final release to consumers. There may even be new features that are announced when Apple unveils the iPhone 6 in September, or new iPads later this year – like side-by-side multitasking support. Oh, and for those asking: yes, HealthKit and some of the other design features look amazing, but we don’t know enough about them yet, so we’re holding off on them until we hear more. For now, however, these were the five features that really jumped out at us. We’ll be testing the iOS 8 Developer Preview as soon as it launches, so keep it locked to TechnoBuffalo for plenty of additional coverage.